Student Accountability is HUGE in my classroom which is why my students write apology letters when their choices have negatively impacted another person in our classroom. 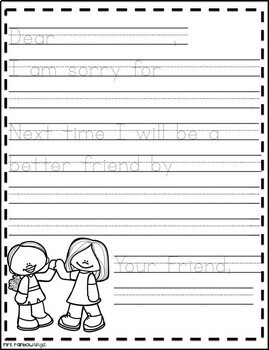 These student apology templates have made this so much easier for my kinders to do independently! 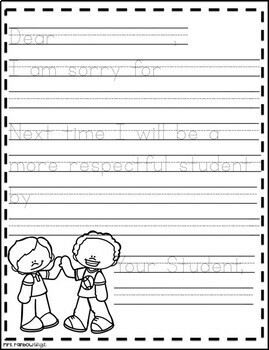 Depending on the time of the day (or the offense) students will write apologies during recess (before they go play to get those wiggles out! ), lunch, or I will assign them as homework with a note to the parent about the situation. I even have the students write these to me if they have broken a rule in the classroom that has impacted my ability to teach! 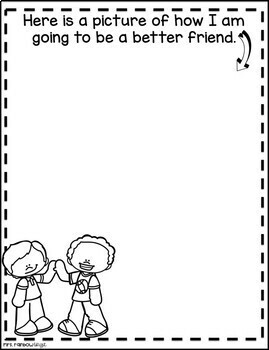 I print them double sided so students have to write the note then draw the pictures but you can choose either/ or!